FFA - Pyramid Hotel Group owned Westchase Marriott gave CAIR Houston a place to raise funds while CAIR fights for Sharia in America. The Westchase Marriott, 2900 Briarpark Drive, Houston, TX 77042 hosted the CAIR Houston banquet on April 4, 2015. CAIR National Board Chair Roula Allouch was also a guest speaker. The Westchase Marriott is owned by Pyramid Hotel Group. 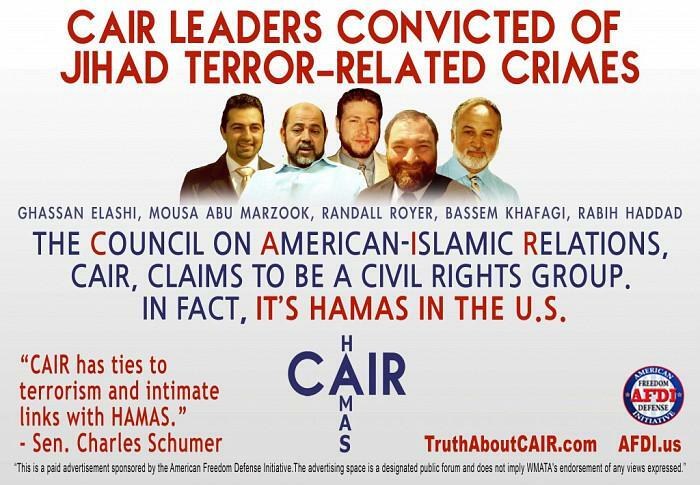 The Pyramid Hotel Group owned Westchase Marriott gave CAIR Houston a place to raise money at a time when CAIR is working hard to make Sharia law legal in the United States. Florida Family Association has prepared an email for you to send to Pyramid Hotel Group officials. Your email will not only voice concern about this important issue but it will also educate corporate officials with facts regarding CAIR's agenda.